Candy, pumpkin carving, a good excuse to wear cat ears…these are among the many things we know and love about Halloween in the US. Around the world, however, Halloween is often celebrated much differently, or in many cases, not at all. While some elements, like the fixation on souls and the dead, are a common thread from nation to nation, the way we express ourselves can vary greatly. Here’s a quick look at how Halloween (aka the greatest holiday!) is celebrated around the world. Many sources cite Ireland as the birthplace of what we now know as Halloween, with its origin sprouting from an old celtic festival called Samhain. 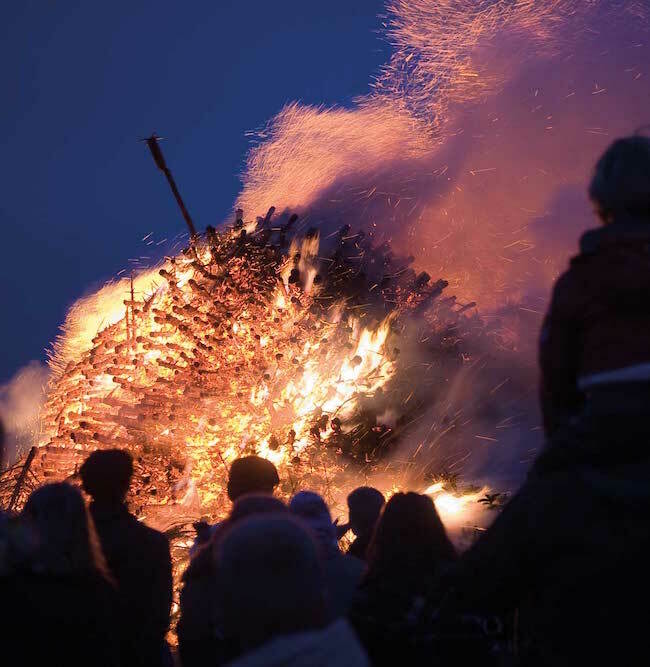 Today in Ireland, Halloween is celebrated by lighting bonfires, playing games and eating traditional foods, like barmbrack, which are fruitcakes filled with trinkets like rings, coins and buttons meant to predict your future. For example, getting a coin in your cake tells of increased wealth in the upcoming year. Children dress in costumes and go trick-or-treating, after which they typically attend parties with neighbors and friends. Snap Apple is often played, where an apple hanging on a string is tied to a tree or doorframe and children attempt to bite it. Other games are played that result in candy prizes, like treasure hunts arranged by parents or a game in which cards are placed face down on a table to hide candy or coins beneath them. 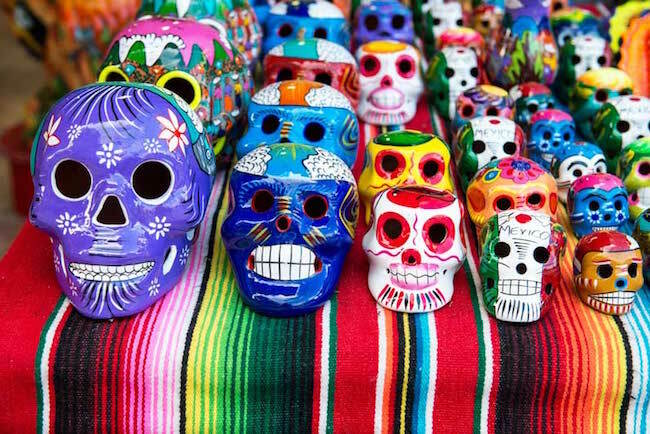 In Mexico, Dia de los Muertos (Day of the Dead) is held from November 1 to November 2 to honor those who have passed away. On the night before this celebration begins, it is believed that the gates between heaven and earth are opened and the souls of children are allowed to return to their families for 24 hours. On the second day of the celebration, adult souls also join. Many people create in-home altars decorated with flowers, candles and photographs of deceased relatives, and stuffed with an abundance of fruit, nuts, tortillas, soda, water and pan de muerto (bread of the dead) as an offering to the spirits. Candy and toys are also left for the souls of children, while cigarettes and shots of mezcal are left for the adult souls. The cost of such a display can be relatively expensive, but many work hard to provide it to honor their loved ones and because they believe happy spirits will provide protection and luck to their families. On the afternoon of November 2, the festivities move to the cemetery, where families clean tombs, play cards, listen to local bands and share memories of their dead loved ones. In Italy, All Saints Day (Tutti i Santi or La Festa di Ognissanti) is celebrated on November 1, and All Souls Day (Tutti i Morti) is celebrated on November 2. The former is a national holiday meant to honor the saints, while the latter pays tribute to deceased loved ones. To celebrate, people leave flowers, often chrysanthemums, on the graves of both family members and strangers, turning the nation’s cemeteries into a colorful display. On All Saints Day, families celebrate together and attend mass. Some also light a red candle in their window and set a place at the table for the spirits of family members, hoping they visit and leave gifts for the children to show that they’re keeping an eye on them, and to instill a bond between younger and past family generations. In some areas, families instead prepare a feast for the departed relatives and leave home so that the spirits can enter undisturbed. On All Souls Day, people visit the cemetery to pay respect to their dearly departed and share stories to keep their memory alive. 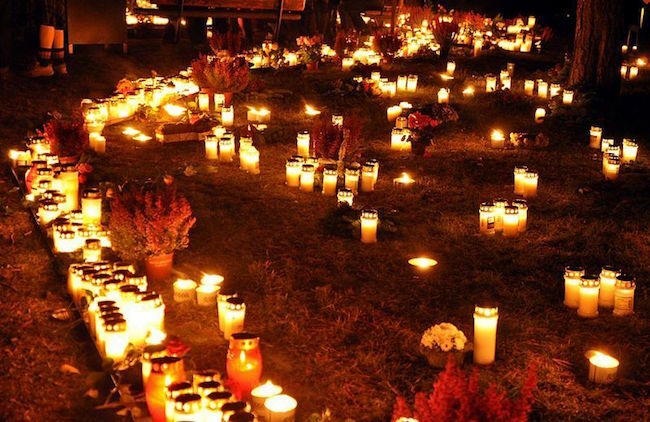 All Saints Day is also observed in Germany, with many people attending church services for saints and martyrs, as well as visiting the graves of their deceased family members to add wreaths and lanterns. 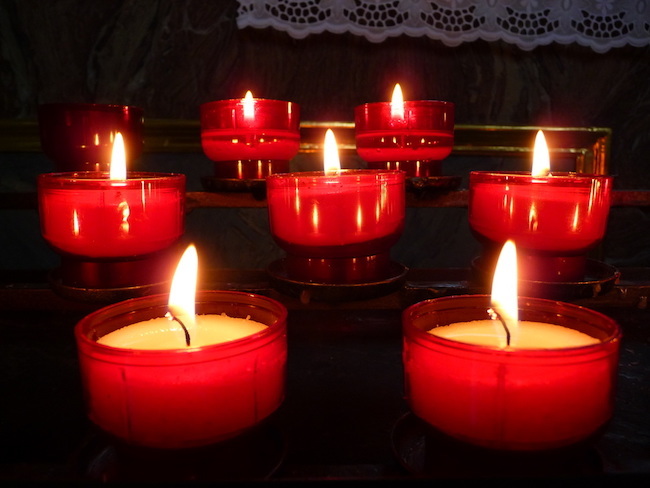 On the following day, All Souls Day, special requiem masses are held to remember those loved ones who have died, and candles may be lit in their honor. In some areas, a more than week long celebration, All Souls Week or Seleenwoche, is celebrated and many people traditionally hide their knives during this period so as to avoid “hurting” the returning spirits with everyday knife movements. Japan’s annual Festival of Obon honors the spirits of one’s ancestors, and it's believed that during this time these spirits visit their living family members. Many people prepare special food and hang lanterns by their homes to guide the spirits, as well as send lighted lanterns to drift in a river. 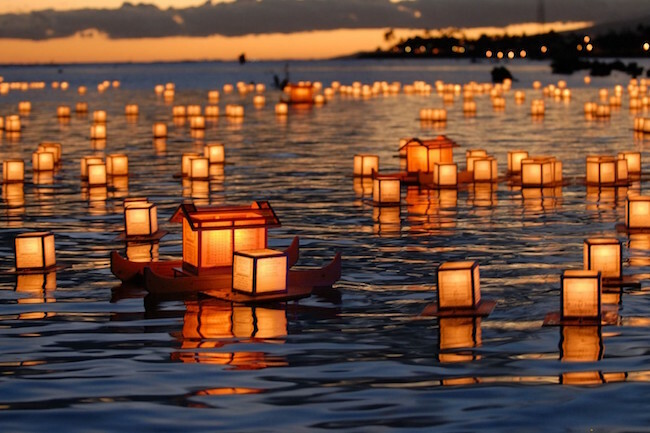 Obon serves as a homecoming of sorts for many people, as they return to their families to celebrate lost loved ones, and to visit and clean their graves. Obon lasts three days, and many celebrations include a carnival with rides and games. Traditionally, a dance known as Bon-Odori is also included in the celebration. Families release their loved ones’ spirits back to their permanent dwelling using the guidance of fire, which also marks the end of the festival.